I’ll be honest, I’ve been pretty nervous about the state of Star Wars video games for a while now. It’s no secret that since EA bagged the exclusive license to publish games set in a galaxy far, far away, we haven’t had much to write home about. Well, we haven’t had anything to write home about. The first Battlefront reboot from DICE had plenty of promise and genuinely fun elements that were let down by a pretty insulting amount of content at launch. Battlefront II at least had the decency to release as a complete and total mess, thereby making it clear from the start that it was one to avoid. EA acquired the Star Wars license back in 2013. It’s now 2019, and the fact that we’ve literally only had two average-to-awful first person shooters in that time is ludicrous. I am not the first person to have made this observation. It’s pretty clear to everyone (apart from EA, perhaps) that what people have been desperate for is a single player Star Wars game. It’s such a rich universe full of lore, history, and opportunities to tell exciting new stories. That the publisher hasn’t put out anything like Jedi: Fallen Order before now has baffled me. I mean, you only need to look at how well remembered some of the single player Star Wars experiences pre-EA are. Knights of the Old Republic, Force Unleashed, Republic Commando, Rogue Squadron… even the original Battlefront games had memorable campaigns. Video games have come a long way since the last full-blooded single player Star Wars game, which I guess would probably have been Force Unleashed II in 2010, unless I’m forgetting something obvious (I’m not counting the LEGO games). I know I’m not the only fan who’s been desperate to see an original adventure that can still boast the cinematic scope and incredible graphics of the the newer Battlefront games while simultaneously telling a dedicated and immersive single player story. 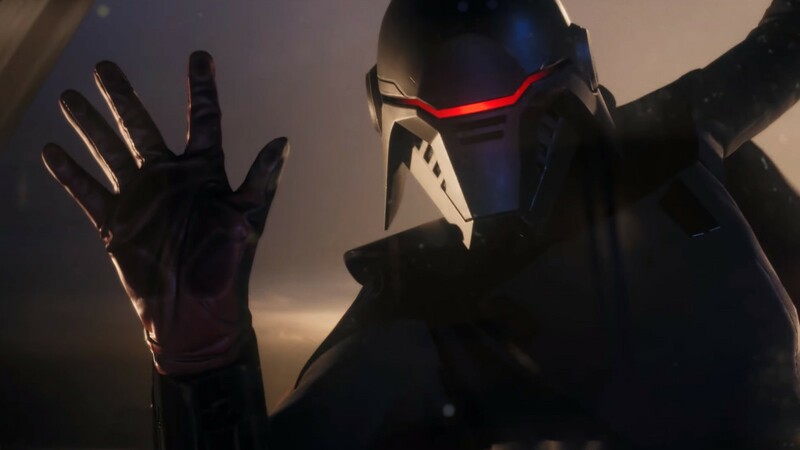 I don’t say all of this just to slam EA (though Lord knows its handling of the Star Wars license till now deserves it), but to make clear that I truly believe Jedi: Fallen Order could be the course correction the publisher desperately needs, and the game the fans so desperately deserve. As Respawn’s Vince Zampella made it clear as he took to the stage at the Star Wars Celebration to show the game off – which was first announced at E3 2018 – this is the Star Wars game we’ve been looking for. The simple statement was met with a rapturous applause, because we’re now at the point where telling people a game won’t have shady business practices forced into it is somehow cause for celebration. Cynicism aside, Respawn is saying all the right things at this moment. While the trailer didn’t really show off any gameplay to back up what the studio was saying, everything about the confident reveal trailer just feels right. This looks, sounds, and feels like the Star Wars game we’ve all waited nearly a decade to play. Set during the time between Revenge of the Sith and A New Hope – AKA one of the periods of Star Wars history when things were probably at their bleakest – we’ll play as Cal Kestis. Cal was a Padawan when the order came from the Empire to wipe out all Jedi, so the game will see our hero attempting to blend in, in a galaxy that wants him dead. That alone is a pretty epic premise, and while we still don’t really know what the main drive behind Cal’s journey will be, it’s going to be fascinating to see how it all plays out for him as a lone fighter against seemingly insurmountable odds. I say “seemingly”, but as with any Star Wars story set in this period of time, there’s probably not going to be a happy ending. This is, after all, a canonical story. Given that we’ve never heard of a Cal Kestis in the original trilogy before, there’s a chance our young Jedi-in-training meets a genuinely tragic end. If Respawn can really get us invested in Cal and his plight over the course of the game, we could have an emotionally charged ending that ensures fans are discussing Jedi: Fallen Order for years to come. We know Respawn has the chops to create something special. Anyone who played Titanfall 2 will attest that it was one of the best single player campaigns in a multiplayer game for years, and the idea of such an exciting studio with the keys to the Star Wars kingdom is a very promising one. Combat will combine parkour, force powers, and lightsaber action to create what is, in theory, a system that’s easy to learn but difficult to master. The kind of fast paced combat that rewards strategy and skill is the perfect fit for a game that wants us to feel like a Jedi, and if it’s as good as Respawn seems to think it is, we could be in for a treat. The trailer only showed a few glimpses of course, but watching Cal run along a wall before using the Force to propel himself to a nearby platform makes me feel like we could get something in the vein of Uncharted 4 with melee combat instead of gunplay. These big, dynamic set pieces that are designed to make you, the player, feel epic. 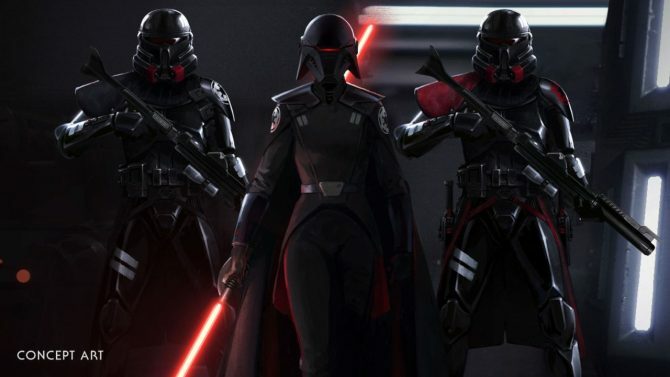 Hell, you only need to look at the team that’s been assembled for Jedi: Fallen Order to get really excited. In addition to having someone like Zampella oversee everything, we’ve got God of War 3 director Stig Amussen working on the game. There are people on the team that have worked on single player gems like Metal Gear, Uncharted, Batman Arkham, and BioShock. Zampella admits Amussen is someone he’s wanted to work with for a long time, which leads me to believe the two have cooked up something very special indeed, and carefully built just the team they needed to execute their vision. All of which brings me back to EA. Crucially, this is the most unique-sounding title to have come from the publisher in years, simply because it isn’t some kind of multiplayer shooter or sports game. EA makes the majority of its money from microtransactions – this is no secret, of course. We’ve heard before that studios working under the publisher are encouraged to come up with ways to include FIFA style ultimate team packs in whatever they’re working on- something that clearly had a detrimental effect on the Battlefront games. 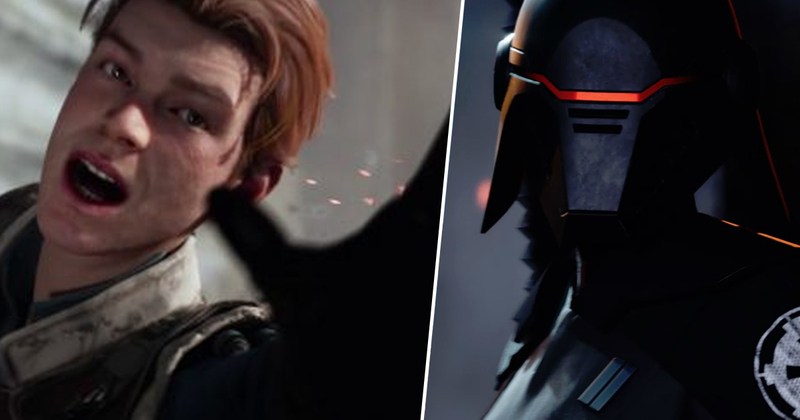 We also know that EA cancelled another single player Star Wars game in order to pivot it towards the company’s preferred “games as service” model – so what does this tell us about Jedi: Fallen Order? To my mind, it tells us that Respawn has come up with something so incredible, so unique, that the studio has managed to stand its ground with EA and work on the game it thinks Jedi: Fallen Order should be – not the game EA thinks it should be. That alone is enough to get excited about. I won’t pretend to know how or why Respawn appears to have been given so much freedom for Jedi: Fallen Order, but given just how much money single players games like God of War and Spider-Man have made in recent years, there’s a very good chance EA is attempting this new approach with dollar signs blazing in its eyes. We’ve still got a long way to go before we can definitively say Jedi: Fallen Order is a truly great Star Wars game, of course, but I get the impression from everything I’ve heard and seen so far that the stars are finally aligning to give the fans what they’ve wanted for so long. Whether rightly or wrongly, there’s a hell of lot of expectation on Repsawn to deliver with this game, probably because it’s the first single player Star Wars game in so long and if it flops I dread to think how long it’ll be before EA decides to try another one – but I’m quietly confident. We have one of the most exciting developers of the last decade telling an original story in one of the franchises most exciting periods, staffed by a team of people who have worked on some of the finest single player games of the last few generations. If Respawn really pulls this off and Jedi: Fallen Order is a commercial hit as well as a critical one, EA might finally realise that a couple of first person shooters every few years isn’t the best way to get the most of a license I’m sure it worked incredibly hard to get in the first place.